Visitors to The Smithsonian’s National Air and Space Museum, on the Mall in Washington, DC. 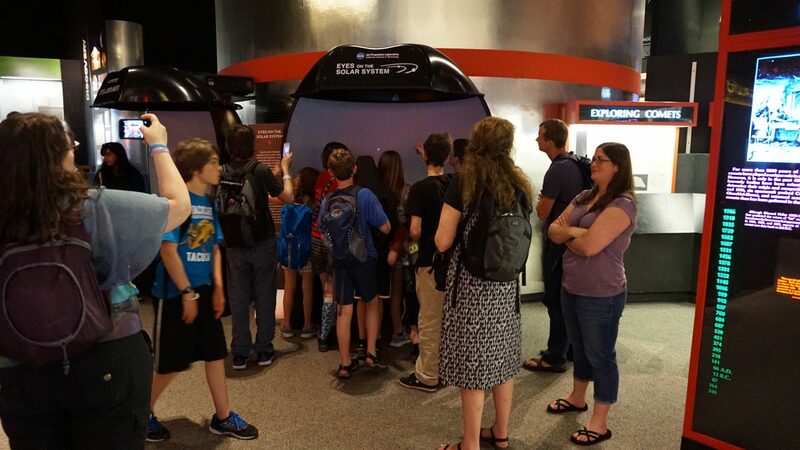 can interactively explore real NASA mission data in four Elumenati Cobra Panoramas, driven by NASA JPL’s Eyes platforms. 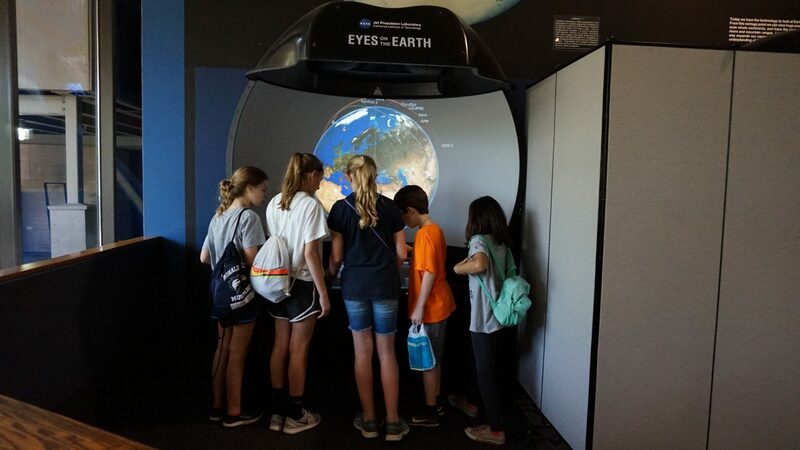 In the Orbital Vistas: The Earth from Space gallery, two systems use Eyes on the Earth to fly along with NASA’s fleet of Earth Science missions and explore our planet from a global perspective, with new data collected daily. 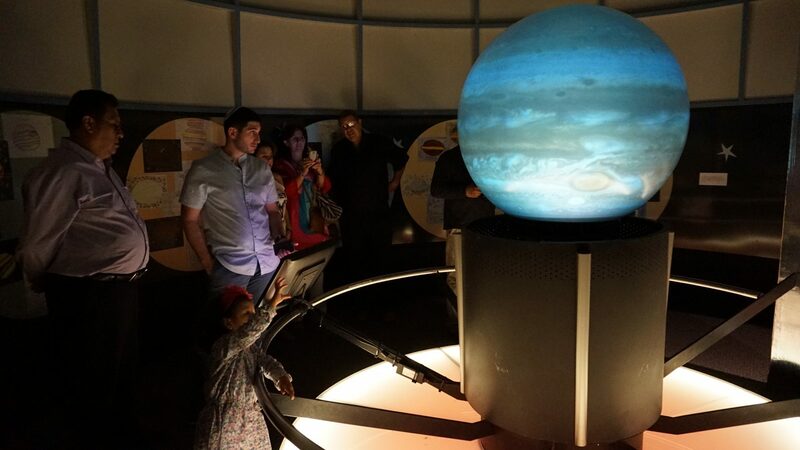 In the Exploring the Planets gallery, one Panorama features Eyes on the Solar System, for travel to the planets, their moons, asteroids, comets, and the spacecraft exploring them from 1950 to 2050. 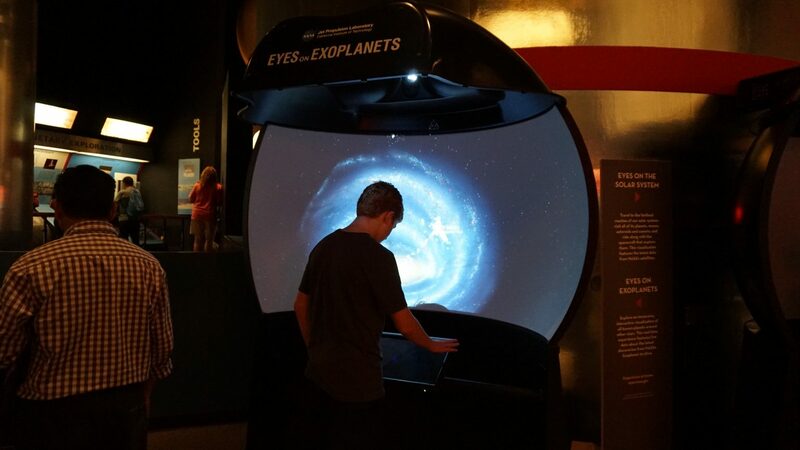 A second system features Eyes on Exoplanets, an immersive, real-time visualization of all planets that have been discovered around other stars. 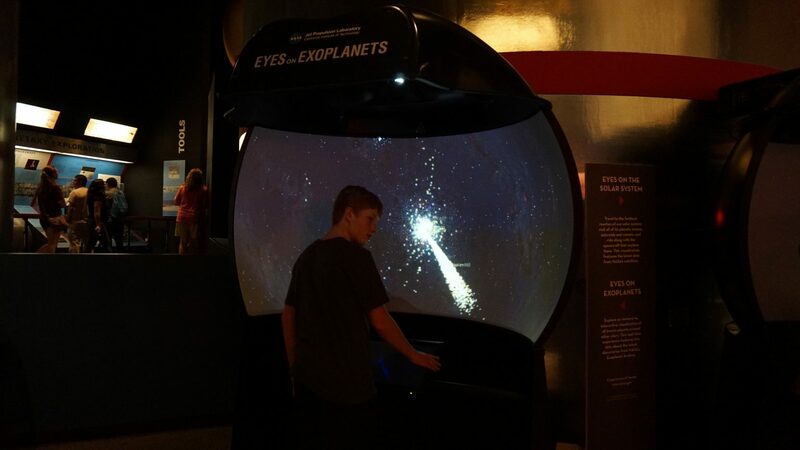 We’ve collaborated on the Eyes project with NASA JPL’s dev team for several years now. Incorporating Omnity into the Eyes code base enables the platforms for display on domes, panoramas, and spheres. 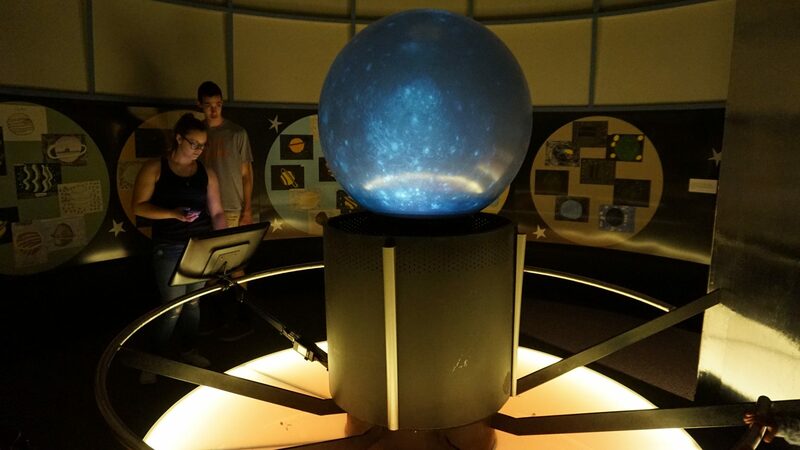 This 2016 project was our second project at the National Air & Space Museum – the Exploring the Planets gallery features a globe powered by an Elumenati OmniFocus projection system installed in 2014. 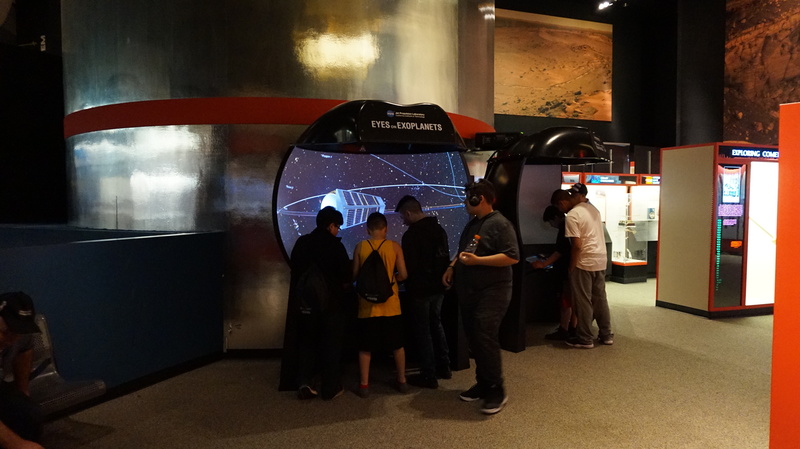 We updated that in 2018 – WorldViewer drives a multi-display interactive with the globe and panoramic immersive projection. More info here!